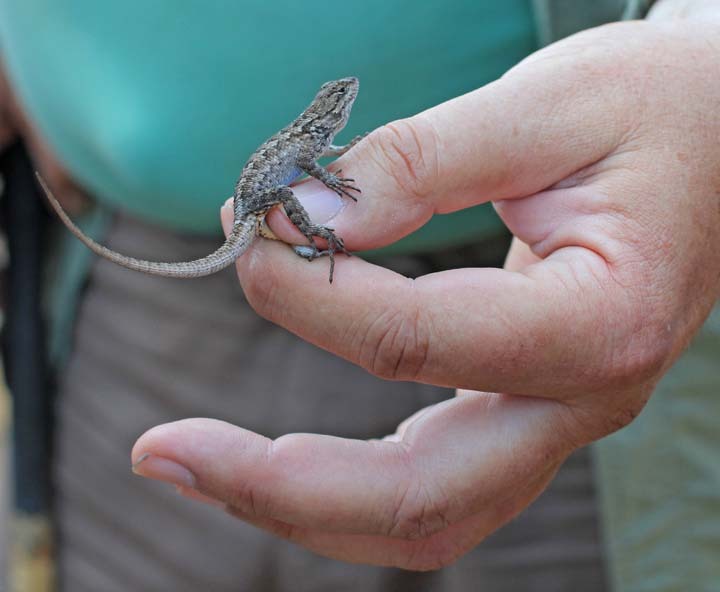 Walk with Dr. Sam Sweet, UCSB herpetologist extraordinaire to learn a wealth of information about our local reptiles and amphibians, including some rare and protected species that inhabit Arroyo Hondo Preserve. Observe the California newt during its breeding season. Learn about endangered red-legged frogs and other interesting creatures. A wide variety of lizards, snakes, turtles, and frogs will be sure to fascinate all who attend. Dr. Sam Sweet is a fascinating field trip leader and professor of Ecology, Evolution and Marine Biology at UCSB, specializing in the amphibians and reptiles of our region. Participants are welcome to bring their cameras and binoculars as well as a picnic lunch to eat at the picnic area by the creek after the walk. Please wear strong shoes and long pants. Bring a hat, water, and sunscreen. Advance registration is required. Specific meeting location will be sent in a confirmation email once you have registered for the event. Free to current Land Trust members! Are you a current member? If so, email [email protected] to register for free! Funds earned through this series will help with upkeep of the Preserve.